Betway Casino has been a part of the online casino market for a fair while now. Offering a range of online gaming including casino, bingo, and sports betting options, Betway has been steadily building a remarkably good reputation for itself over its years in the business, and it really shows. Betway are known for offering excellent options for mobile players, including an easy to use platform, excellent win rates, and fast pay-outs with the likes of PayPal amongst their popular payment methods. New online casino sites that arrive on the scene need to fight for recognition amongst more established sites like Betway, but the battle can go both ways. With the influx of new online casino sites, preferences and trends can change rapidly, from design to content, and sites that have been on the scene for a long time must ensure that they stay ahead of the curve on such things. When it comes to Betway, a popular casino with years of reputation and experience behind it, a few missed evolutions, and the site could fade into the background without anyone noticing. Is this something that seems likely for Betway? 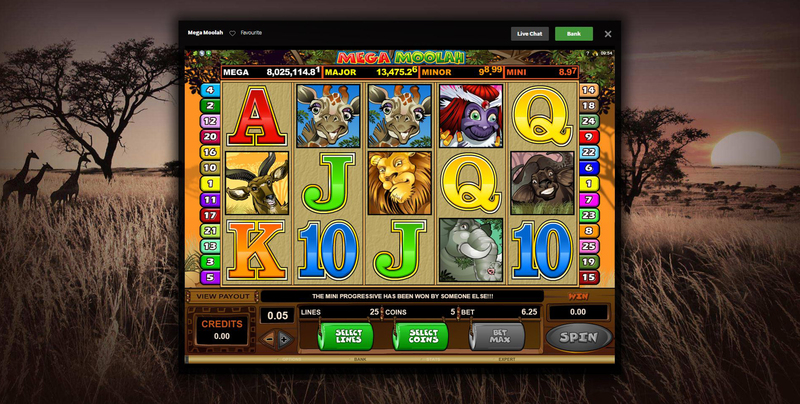 Or does this online casino look like it’ll be staying ahead of the pack for the foreseeable future? If you’re looking for a fun and playful approach to the online casino world, you’re not going to find it here. Betway takes casino play, like its other options, very seriously, and with a huge percentage of online casino players doing much the same, this is not a bad choice on their part. The style is simple, elegant, and effective here, with nothing overly eye-catching in terms of design, which again, is a good choice, because it isolates information about promotions like the welcome bonus, which stands proud at the top of the homepage, and as it’s up to £1,000 in bonuses, it should be! The subtle, sleek approach to a design concept here, which, as you have probably guessed, is mainly black in colour, is complemented by the simple navigation that this site offers. A scan through the category bar will allow you access to various game types, with titles available through one click of your mouse via thumbnails on the page. Sometimes, trying to be different isn’t the way, Betway has a very classic approach towards online casino play, and its site, as familiar as the theme and concept may be, does a perfect job of representing that. With a small collection of software developers including Evolution, Microgaming, and NetEnt providing the games here, you’d be forgiven for assuming that there’d only be a limited number of games available at Betway, but that is far from the case. With over 500 games, including over 400 slots, there’s something for everybody here. As those numbers show, slots are definitely the priority here, with new titles such as Jurassic World and Emoticoins to be found alongside a host of old favourites, retro slots, and a few jackpot titles scattered into the mix. It is far from only slots at this casino though, with blackjack, roulette, video poker, and an impressive live casino for the old school casino fan available as well. There’s a reason that Betway has been successful for as long as it has, and that’s because it understands the needs of players, and provides them with solutions. That isn’t to say this site is perfect, a few more software developers wouldn’t go amiss, however good the selection of games is, but that doesn’t change the fact that Betway is one of the best and most reliable casinos around.